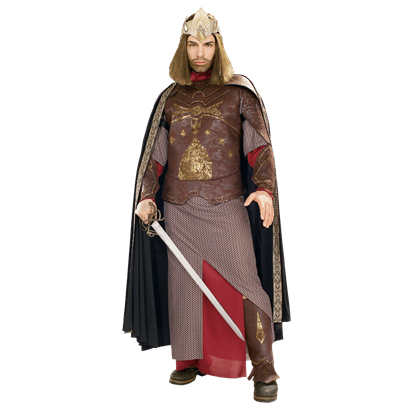 We have a wide range of Lord of the Ring costumes and Hobbit costumes based on the hit Peter Jackson film trilogies. 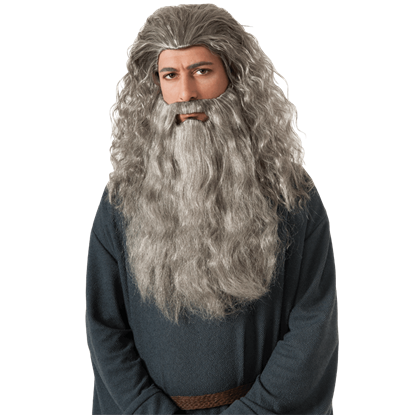 In addition to adult Halloween costumes, we carry kids costumes so the whole family can dress up. 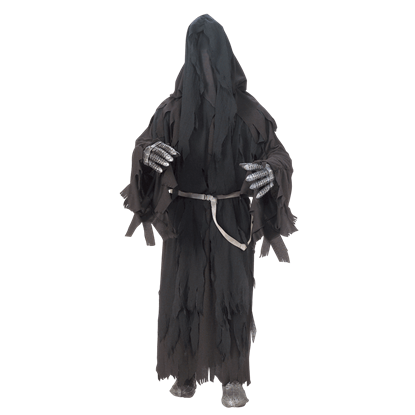 These licensed costumes include excellent costume accessories like latex masks, prop weapons, and wigs, as well. 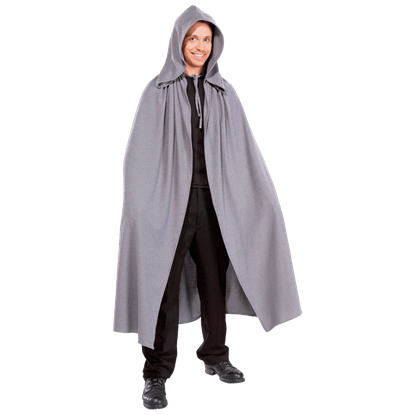 Our LotR costumes include fan favorites like Frodo, Gandalf, Aragorn, Arwen, Legolas, and Gollum, among others. 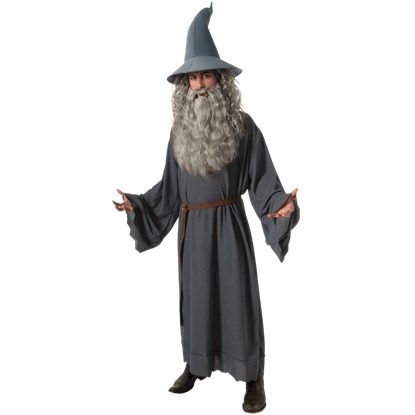 Fans of the Hobbit will also enjoy the chance to dress up as Bilbo, Thorin, Dwalin, Galadriel, Tauriel, and more. 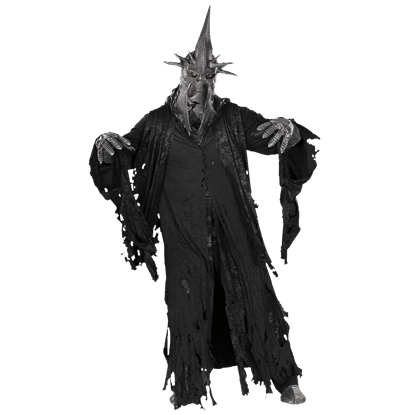 If you prefer the darker side of these epic tales, you can also dress as the infamous Witch King, Azog the Defiler, a Ringwraith, or even Smaug! 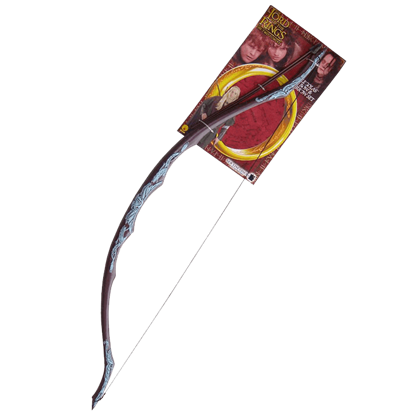 Take a moment to browse our fantastic selection, and you will find the perfect option for your next convention or themed party. 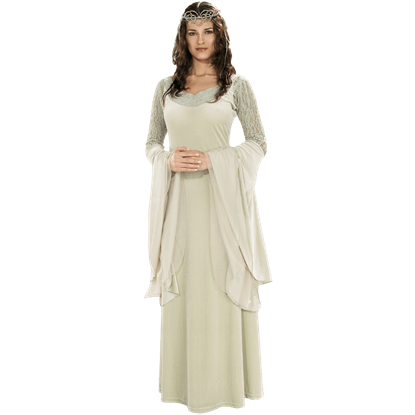 Our Adult Arwen costume includes the dress which has a dark, navy blue body, orangish-red sleeves, and neckline with gold colored lacey trim. 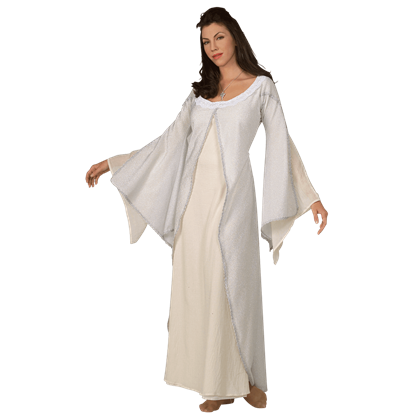 It has a lively look that that suits princesses very well in a casual look. Got here very fast and my son absolutely LOVES it (DK4000). It's constructed beautifully and he'll be able to wear it for a long time. 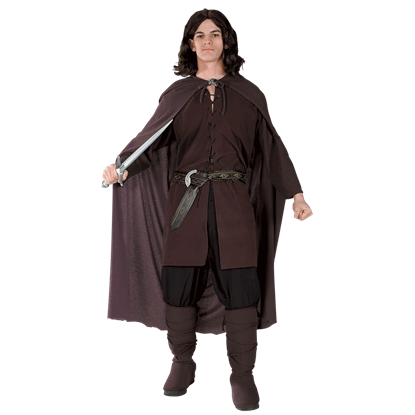 He's a small six year old and wears the buckles fully closed, so this can be part of his Ren Faire costume for years. Thanks!